India has become a travellers paradise, and is fast becoming an incredibly popular backpacking destination. If you’re looking for something is a little more than just some good weather and great beaches, then India could be that place for you, as it offers so much from natural beauty, amazing food, spirituality, history, and religion. 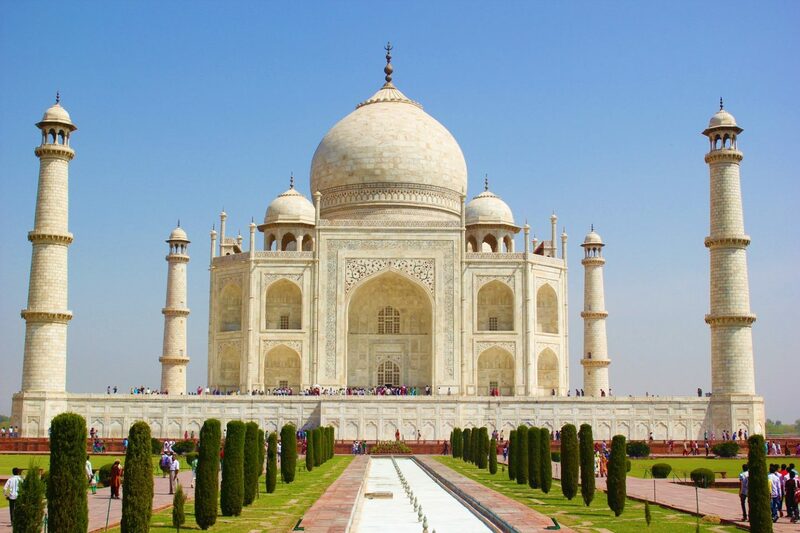 The Taj Mahal, which is one of the seven wonders of the world, is so stunning and is going to be one of the things that is worth the flight alone. For many people, when they think of India, they think of the Taj Mahal, as it is one of the most iconic symbols of India. The architecture is really stunning, as well as the history behind it. So there are many reasons to add it to your bucket list. Known as the ‘Queen of the Himalayas’ you’d be mad not to visit Darjeeling during your stay. With its mesmerising sunrises, the untouched beauty of the hills, the old-world charm of the past all add up to make Darjeeling one of the most beautiful hill stations in Eastern part of India. This scenic hill station is the perfect getaway for a romantic honeymoon. The range of accommodation is pretty affordable out there, with even luxury accommodation being reasonably priced, so hotels in Darjeeling or hotels in Mumbai, there are plenty to choose from. For things like food and eating out, it is something that also doesn’t break the bank. Travel around the country is really affordable too, and unlike any other country in a lot of ways. You can travel on trains for hardly anything, so seeing the vast country is pretty easy. The Holy Ganges River is a river that runs over 2,500 km from the northern Himalayas, right down to the Bay of Bengal. For the thousands and thousands of Hindus in the area, it becomes much more than just a river. In fact, they often refer to it as their salvation. They believe that it helps to transport prayers, as well as making the soul pure when you take a dip. Not to mention the practical level that a river can help, through fishing and agriculture. The area of Rajasthan can conjure up images of things like Maharajas and Moguls; things that are pretty extravagant and opulent. There is a lot of history in this province of India, so is a great shout for history lovers. It is also a beautiful area if you want the classic look of india with camels and desert. If you are a bit of a wildlife enthusiast, then there is another reason to visit India. You could be lucky to spot things like tigers, as well as Indian elephants, leopards, and several hundred species of native birds. India’s capital will slowly reveal a side you may not have expected in the country. There are plenty of things like leafy parks to discover, early morning yoga classes, lavish Hindu temples, bustling markets or even a Bollywood show. There really are some parts of the world that are unlike any other, and will leave you with memories that last and last. India is a place just like that; it is a must for at least once in your life. Gosh the Darjeeling region looks and sounds absolutely stunning. I’d love to go there, I bet you’d get a decent cup of tea there too! There are so many wonderful things to see and do in India, I’d love to go one day.